Beautiful tractors, Bear. Although they all look great, my favorite has to be the '55. I like the multi bar grills and the chrome IH on the hood. 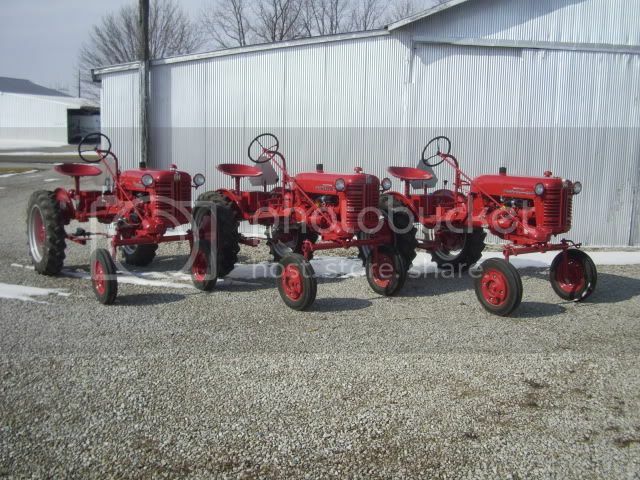 Nice tractors!! The 55's are probably my favorite year model. Very,very,very nice Cubs. Just a Clean Strong run of the mill Farmall 140 with very little Wear. Tractors are like watermelons..Eat the red and throw away the green! !